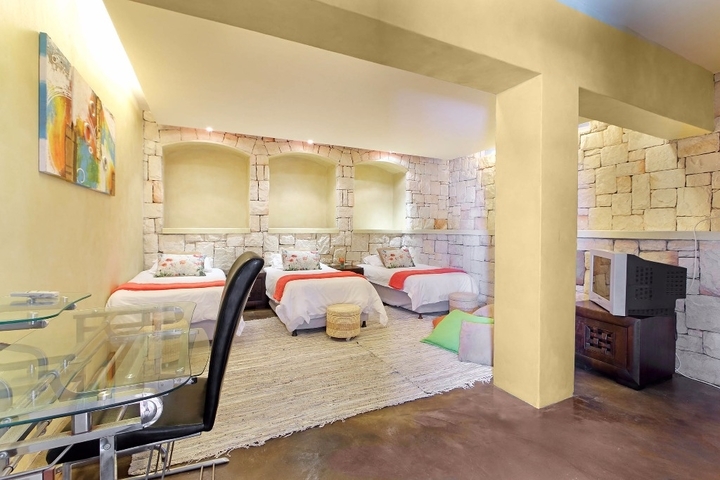 Why stay at NEAR THE ROCKS? 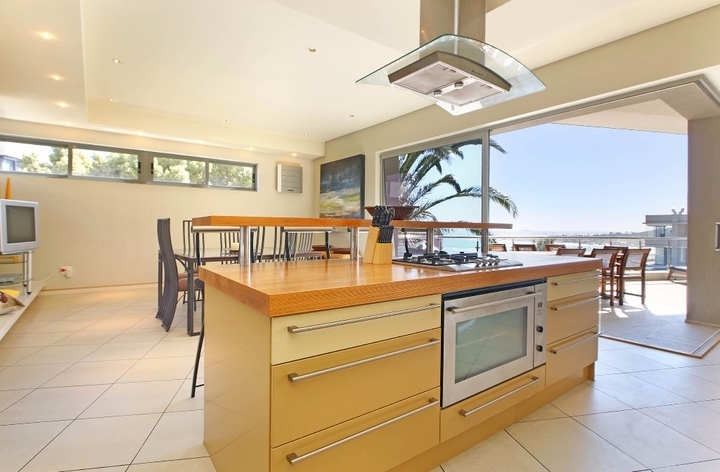 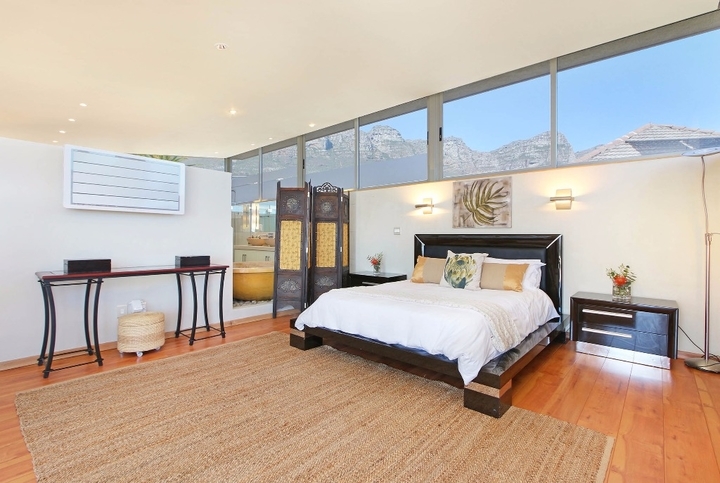 Near the Rocks is a luxurious and contemporary villa that accommodates 9 people. 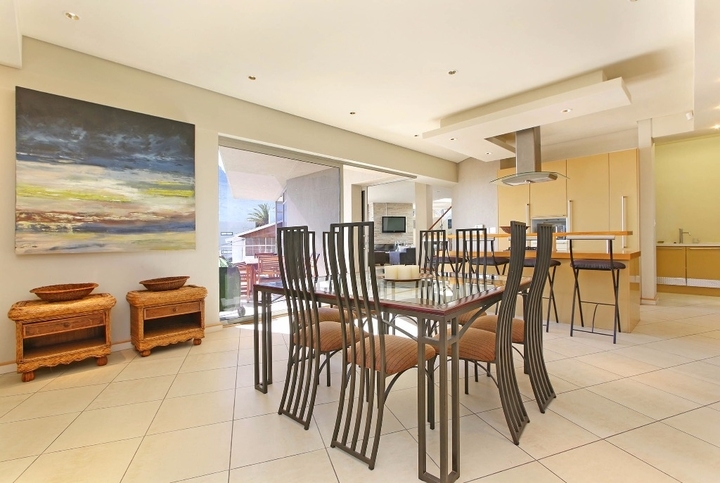 This 4 bedroom villa is ideal for a large family or group of friends. 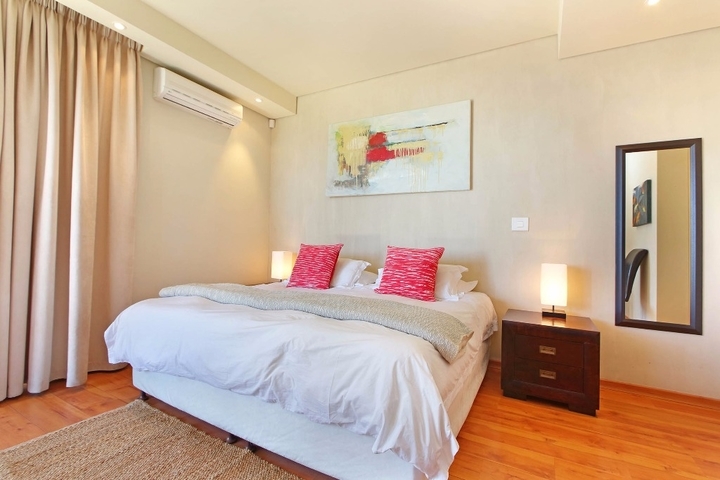 Modern architecturally designed villa is furnished with style and warmth. 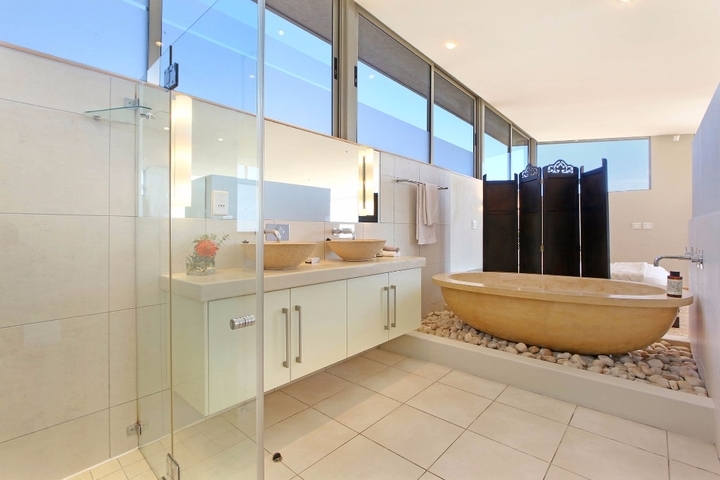 Water cascades down from the swimming pool on the upper level, adding to the ambience of the peaceful setting. 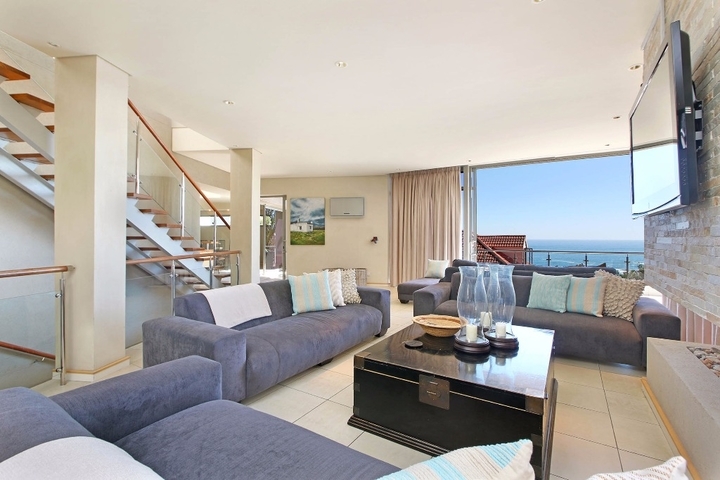 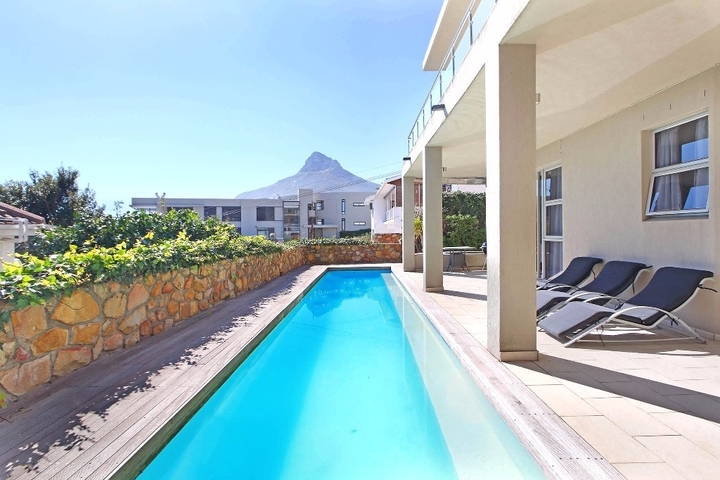 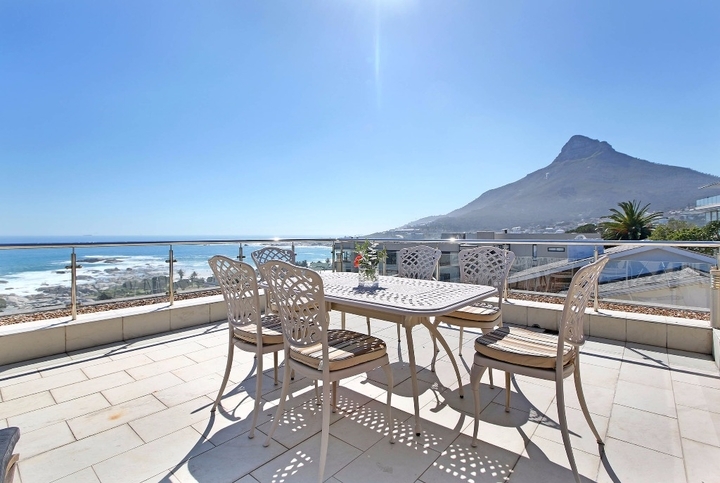 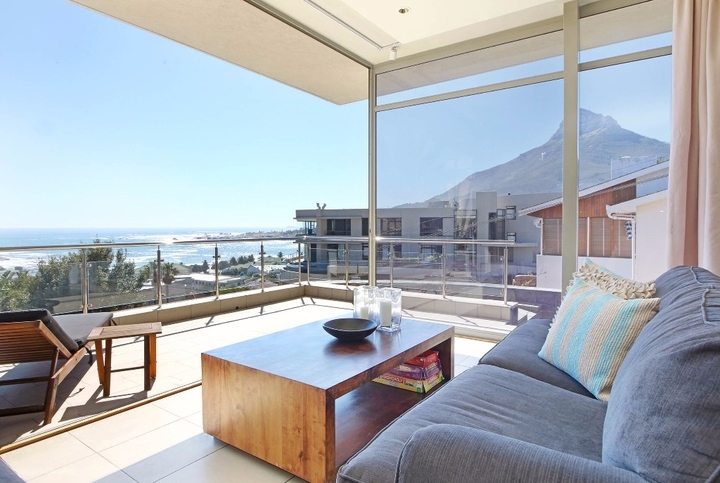 The living area flows out onto the terrace which boasts panoramic views of the Atlantic Ocean, Camps Bay Beach as well as Table Mountain & Twelve Apostles. 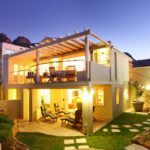 Guests can socialize around the BBQ outdoors or relax around the gas fireplace indoors. 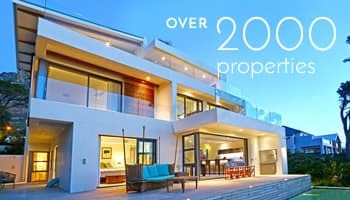 Families and friends will enjoy having the indoor and outdoor space, two outdoor terraces, two swimming pools(one of which is able to be heated at an additional charge per night)and a large, open-plan lounge with an 8-seater dining room table. 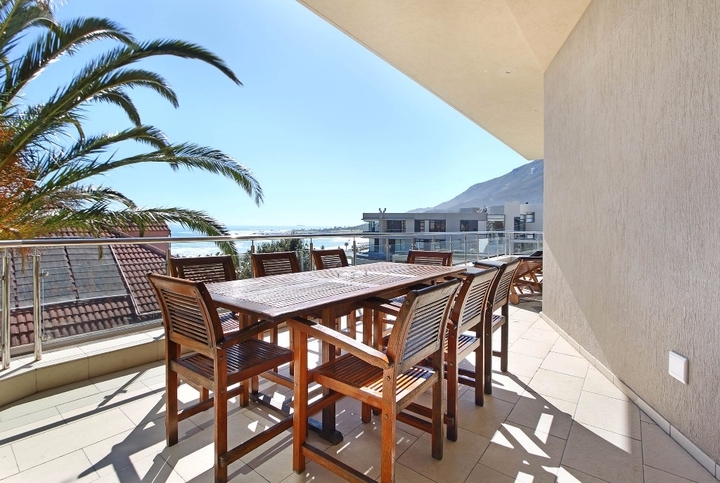 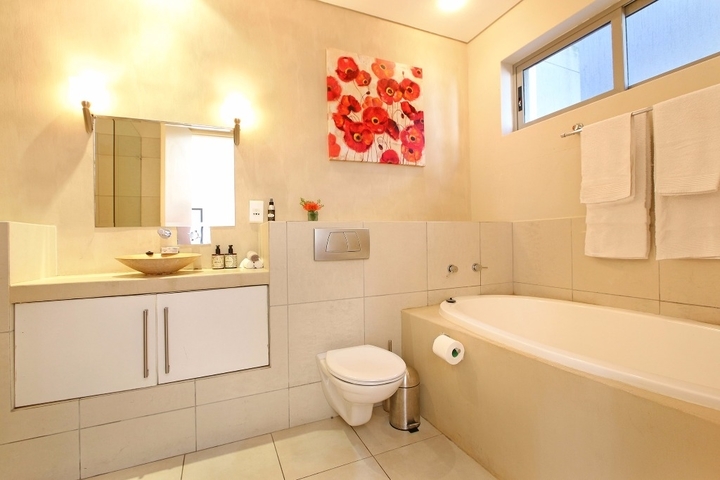 Located a mere 250 meters from the famous Camps Bay Promenade, Near the Rocks is within an easy stroll to the beach and variety of restaurants, bars and shops. 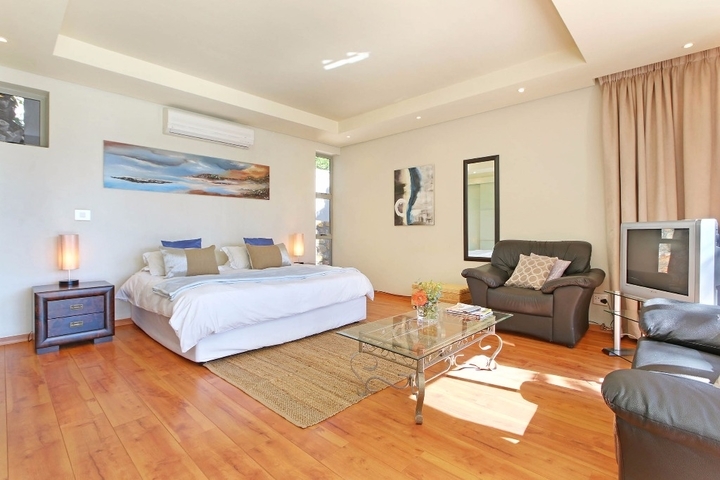 Ready to stay at NEAR THE ROCKS?